Well I’m not 100% back, more like a solid 52%. But even that is up for debate (wow babies take a lot of time!). But my thoughtful neighbors sent me some photos to throw up on my blog since I haven’t been very diligent about taking photos of all the millions of things that are going on around our farms these days! More like millions of photos of our little baby Hoot, I’ll throw a few of those in below as well!! These are courtesy of Brentano Farms. They are out in their baby filbert (hazelnut) orchards scraping the ground. We have to have very flat orchard floors since the hazelnuts, when harvested, are picked up off the ground. Even small indents can hold nuts just low enough that the harvester will go right over them. And as you can see the crop is coming along very nicely. These nuts will be harvested this fall. 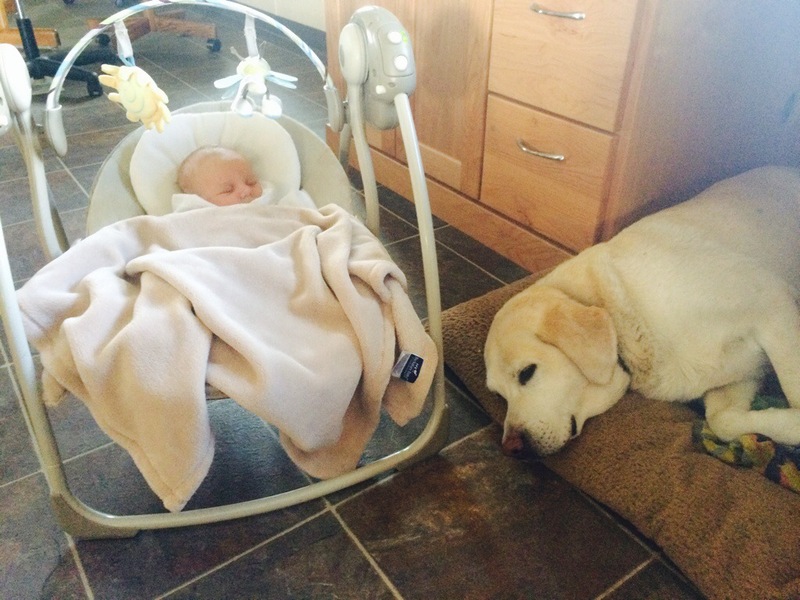 The good news though…I taught Yukon how to babysit while I’m at the farm! **Thanks to Dan, Tessa & Remi for taking care of my blog photos this week! ← Photo Friday…Baby Ones Obviously!